After training I received in Russian Language and Literature Department at the European University I graduated from the Kiev Civil Aviation Management section of returning to Turkey Beykoz University. I have been studying at the International Relations Department at Anadolu University for many years. To summarize, I did not receive marketing specific training. How did my career start? The first blog I opened in 2003 was the popular application of the era, on MSN and HTML language. In this period I started to get blogging and webmaster experience though it was amateurish. As a success I will boast of over the years, this first blog has visited over 3 million people for two years. I started my professional career with blogging, my favorite business. I began to write articles on Sosyalsosyal, Shiftdelete.net, Kadınmag, Social Media Club, Social Media News and Semiyun on the proposals I received from different media with my articles on my own blog being liked. On average, I should say that I am collecting the fruit of those days when I prepare 10 contents a day in the future. Not long ago, I began to work as a Social Media Expert in Kaknüs Publishing with the influence of the articles. 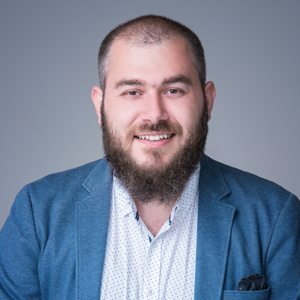 Then on Social Media Strategist at ibeyond Digital agency to experience the world, one of Turkey's largest digital agency did the Project Manager in Promoqube. I've seen that the agency world is giving your experience to a person much more quickly than you can imagine. It has become a tradition to move to the brand side after being cooked in agencies. I started to work as the Marketing Manager at Hospitadent Dental Hospitals since I thought that multinational cumbersome companies were not suitable for self-improvement. It was very enjoyable for me to market the father's profession. Then I worked as Marketing Director at Markum. Now that I've had enough, I decided to start my own agency and finally I founded the Cremicro Growth Hacking Agency. During my professional career I never worked in a single job. I always liked to be busy with other things. That's why I'm having a hard time trying to explain myself. Since 2011, I have been giving digital marketing trainings. 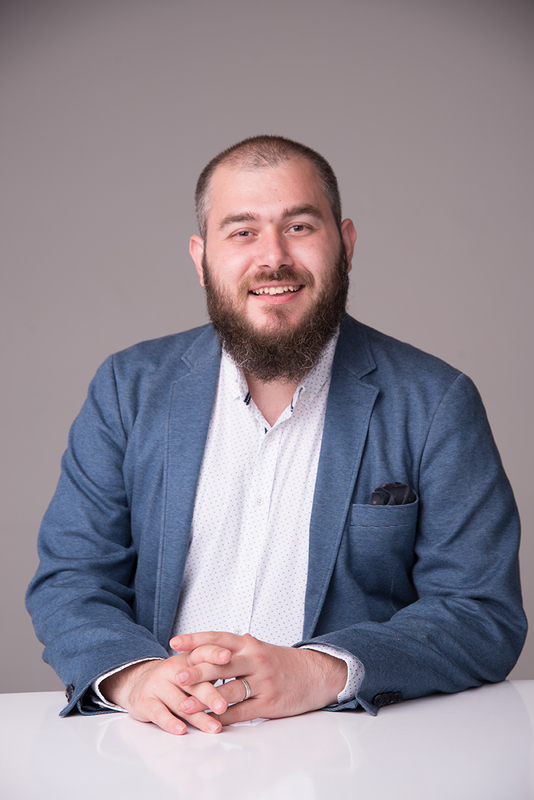 Bilge Adam, who has given at least 20 hours a week between 2013 and 2018, as well as continuing education centers or postgraduate programs at various universities such as Istanbul Technical University, Yildiz Technical University, Fatih Sultan Mehmet Foundation University, Yeditepe University and Istanbul University. I gave trainings at the academy. become entrepreneurs in Turkey is quite difficult. I also experienced my first partnership with Pazarlama.com. As marketing, we have successfully signed dozens of successful jobs. The most prominent of these events was Marketing Meetup, which we started to organize regularly. On the other hand, I wanted to say that I was very successful after a very intense work with Growsta, an Instagram tool; We sank. After I sold my holdings in marketing, I entered a turn that I realized I had to spend a little more time. As I am someone who is inclined to try to erase all my free time, I cannot stay away from social responsibility projects. After a busy work of 2 years in Istanbul Metropolitan Municipality and Minik Gamzeler Association, I spent a year as a member of the Board of Directors of the International Social Media Association. I founded the Digital Communication Association by thinking that it should be an association of the sector, and then I withdrew myself from NGOs due to timelessness. I don't know how I did it, but I got married and had 2 kids. Let me introduce; Saliha, Omer Tugrul. During my career I had the opportunity to work with more than 200 brands. I really love social media, not just for business purposes. My life is built on social networks. Internet and Technology as the most active people in Turkey I selected. I have two e-books called Twitter and Being Google. I've been working on this book for some time, and I'm pretty bored with the books on the market and it really takes a long time to prepare a book that satisfies the content. For a long time, I have 10 books per month. On the SEMrush Blog, one of the most widely used SEO tools in the world, on Aramamotoru.com, I continue to write on Brandmap. I love giving in-house training. In particular, I have dedicated my weekends to in-house training or individual training. If the ones written here are not enough, you can always communicate with me. When I analyze the page up to here, the rate of those who make a lot of scrolling, so those who deserve so much more may be wondering. He therefore wanted to add another chapter on this guy who is really looking at how he came to life. I think a term accepted as a result of the popular culture. Why do I think so? I think changing this point of view will cause both our own life and our country to develop seriously. I thought for a long time on this subject, I don't think I'm a very intelligent person. Those who read the above are not witnessed to have received a great education. But what I've experienced so far, I think of a list coming up to me, I said before I say one, but I think the purpose will be, hours, pity. I conducted social media content management of more than 100 brands and prepared their strategies. I have edited or directed software-supported digital projects of more than 100 brands. I have undertaken all the SEO studies of more than 30 brands. I managed the AdWords account of more than 20 brands. I have prepared and managed Growth strategies of more than 20 brands. I've done more than 100 videos / 2D assemblies / edits. I have designed more than 50 infographics, more than 10 billboards, over 100 banners, tens of thousands of banners and social media content. More than 100 influencer campaigns prepared, managed. I've prepared more than 100 turn-key websites. I've written more than 1000 articles. I designed 1 magazine, I designed 3 book covers, I edited more than 10 books, I wrote two books. I have designed / designed more than 10 cartoons. I have prepared more than 1000 presentations. I taught more than 10000 hours. I've designed more than 500 emails, I've written the text, I've sent it. More than 1000 Analytics / Social Media / Campaigns etc. I have prepared the report. I've organized more than 50 events. I hosted more than 30,000 people in these events. I was officially involved in 3 attempts, I screwed one up, sold the other one, and I was dealing with the other. Linux server also managed, Windows server also managed. I've written more than 1,000 news stories, and I changed the country's agenda when it came to. I've written more than 100 press releases. I've been in the press more than 100 times. I haven't made a headline yet, but that could be a good thing. I spoke to more than 50 vlogs. I've done that much. I've done more than 100 interviews. I gave you 20-30. I've written all this, I'm as great as I did, not to say I've done such good work. There are so many things I want to learn, which I still want to experience insanely! If I wrote three or five of them, you would probably laugh with one side, but life showed me that I could do it. I still think that I know very little, I experience very little. I think it is a great lie to have a single area of ​​specialization and cursory knowledge in other fields. I'm sure what makes us love this life is what makes us better. Not to be with people who stop wondering, I am now, to be as far away from them as possible, to develop with you, to be with people you can feed. When you try life, it's good, it's good when you learn it, it's good when you learn it.